UK visas, immigration advice and British Citizenship. Specialists in Settlement, Work Visas, Family Visas, Advice for European citizens and family members, British Citizenship. Travel visas and sooner appointments: Schengen, Russian and other visas. Fast UK passport renewals. Officially accredited by the OISC, UK Home Office (UKVI), Embassies in London. Accredited to provide CPD training to advisers and solicitors, CPD accepted by the OISC and SRA. Online and classroom OISC Level 1 courses. We love UK immigration law! We enjoy explaining it in plain language, even with humour. There is plenty of stress involved in this process but it can also be fun learning about it. #1 My passport expired, do I need to get a new visa? #2 Can I get a British passport and keep my current nationality? #3 What is my status while waiting for decision? What if my visa expired before decision? Can I keep working? #4 Can I have my passport while waiting for a visa? #5 How does Brexit affect me? The answer is both Yes and No. No, because you can travel with both passports. UK visas don't expire even if passport has expired. Also No, if you have a biometric visa card (BRP), you don’t have to apply for a new one until it expires. If, however, you have an old Indefinite Leave sticker in the passport (the one that says ‘Date of expiry – Indefinite’), you will have to apply for a new biometric ILR if you are working (as explained here). This is because under the current rules employers are not allowed to employ people who have UK visas in the expired passports. The UK allows dual, triple and multiple nationalities – no problem. The real question is to the authorities of your other country (or countries). Some allow, some only allow one more, some don’t allow at all. Check with them! For example, South Africans can have dual citizenship but only if they ask South Africa for permission first. Russians can have but have to use their Russian passport when entering Russia. Also, when you become British, you will have to return your ILR biometric card, so you won’t have it to show the authorities of your other country. You can return to the UK using a UK passport, but it also means the border control at your departure airport will know about your British Citizenship (and if that country doesn’t like it – this is where you may be ‘found out’). #3 What is my status while waiting for a decision? If you apply for a new visa before your old visa expires (even on the last day), your status continues in that ‘old visa’ for as long as it takes to make a decision on your new application. Doesn’t matter how long the authorities take – you retain all conditions attached to your ‘old visa’, including the right to work. You also retain the limitations. For example, you are switching from Tier 4 student to a Spouse visa. Most Tier 4 visas allow to work part time when studying and full-time after completion of a degree course. You applied for a Spouse visa on the last day of Tier 4 visa. It took 3 months for a decision. During these 3 months you remain ‘Tier 4’ and can work full-time. Now, imagine you have a Tier 2 General visa, which allows to work only for your Tier 2 sponsor (employer). You are applying for Indefinite Leave and it takes, say, 4 months to consider your ILR application. During these 4 months your status remains ‘Tier 2’ and you have to keep working for your Sponsor. Once your ILR has been granted, you can change employment. This is why the next-day service is very popular! 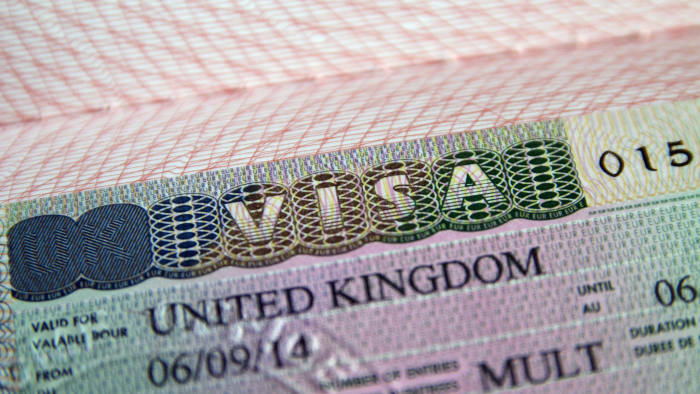 If your UK visa (the one you are renewing) is still valid, then yes, you can travel. It’s enough to get you on the plane. Here, at the UK Border, they will find your status in the system. If your UK visa has expired, so at the moment of travel you have no valid UK visa, then you can travel if you are a non-visa national. That is if you are not required to have a visitor visa for the UK. For example, American, Australian, Malaysian nationals. The airline will know you don’t need a visitor visa (the rest is not their problem) while the UK Border control will find your pending application in their system. If, however, your UK visa has expired and you are a visa national (Chinese, Russian, South African, Indian, Nigerian etc), you will need a ‘valid visa’ to board the plane, otherwise the airline won’t let you on-board. In this case, you would have to remain in the UK and travel after you have your new visa. If you are not an EU/EEA national, or a family member of such, Brexit has no relevance to your UK immigration status. You can continue as before. Examples: spouses of UK citizens, “Tier” migrants, Tier 2 sponsors, visitors. If you are an EU/EEA national, or a family member of such, you need to apply under the new EU Settlement Scheme. You are eligible if you started living in the UK before the deadline. The deadline in case of a ‘deal’ is planned on 31st December 2020.The deadline in case of ‘no deal’ is the date the UK exits the European Union, it was 29th March 2019 but was extended to 12th April 2019. The final date is yet to be determined. For the latest updates, please keep checking our website. 1st4Immigration is one of the most experienced and prominent UK immigration law companies, accredited by the OISC at the highest Level 3. We have been in business for over 10 years, our OISC reference is 200800152, in which 2008 stands for the year accreditation. Office address: 68 King William Street, City of London, London, EC4M 7DZ. We also provide immigration training and CPD for lawyers and those preparing for OISC exam. We have classroom/livestream courses and online self-study courses, accredited by CPD Standards Office, ref 80001, and accepted by The OISC. Visit our OISC training page here. Found this blog useful? Buy me a drink. Copyright 1st 4Immigration Ltd. All Rights Reserved. Powered by Blogger.